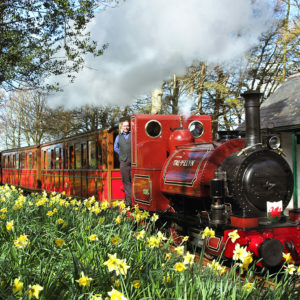 Steam into the Brecon Beacons on a 10-mile round trip from Pant near Merthyr Tydfil to Torpantau high in the Brecon Beacons. All trains travel nonstop from Pant to Torpantau. All returning trains stop at the intermediate station in Pontsticill. At Pontsticill you can visit the Lakeside Café, go for a walk or let the children enjoy the play area. 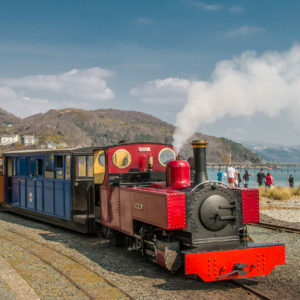 Travel from the main station at Pant in an all-weather observation carriage behind a vintage steam locomotive. The journey takes you into the Brecon Beacons National Park through Pontsticill Station and alongside the Taf Fechan Reservoir to Dolygaer before climbing to Torpantau, high in the Brecon Beacons. This is the summit of the original line. Trains only stop at the intermediate station at Pontsticill on the return journey to Pant from Torpantau. At Pontsticill you can visit the Lakeside Café and Children’s Play Area, admire the views across the reservoir towards the distant peaks of Pen y Fan or go for a ramble along the water's edge. There is a small steam museum housed in the original waiting room which is generally open in the main season. The main station at Pant has workshops for the railway. You can visit the workshops and see the work needed to keep the steam engines and carriages running from the public viewing gallery. Visit the licensed Tea Rooms serving hot and cold snacks and drinks; also visit the Gift Shop for souvenirs of your visit. Travel from Cardiff Central to Merthyr Tydfil Station, followed by a 20-minute bus/taxi journey. The 35 bus from Merthyr Tydfil Bus Station (stand 8) takes 35 mins to Pant Cemetery Main Gates. 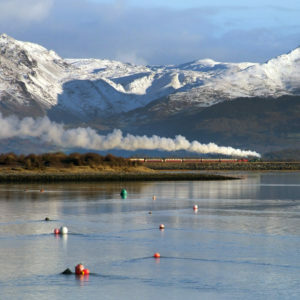 It is approximately a 10-minute walk to the railway. Located 3 miles north of Merthyr Tydfil on the southern edge of the Brecon Beacons National Park. Just off the A465 Heads of the Valley and A470 Trunk roads. Follow the brown Mountain Railway signs or use Sat Nav CF48 2DD. Brecon Mountain Railway has a large free car and coach park at Pant Station.